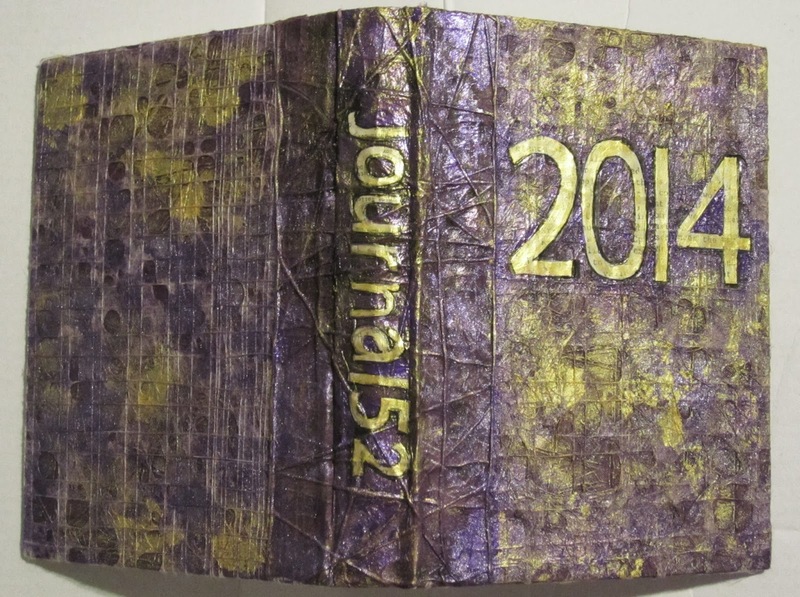 I joined Journal52, a FREE year-long art journal workshop hosted by Chelle Stein. There will be 52 weekly prompts starting today (January 6th). This last week has a tough one for me. I got the flu and then had a reaction to the medicine I was taking, breaking out with hives. Still one has to create, and I wanted to get my journal ready. Chelle recommends using a 3-ring binder for your Journal52 journal, but like most lefties I know, I hate 3-ring binders. I decided to bind my own journal, using the instructions from ‘Creating Art at the Speed of Life’. Instead of using chipboard or cardboard, I used a Zutter Cover All, which made things much easier. 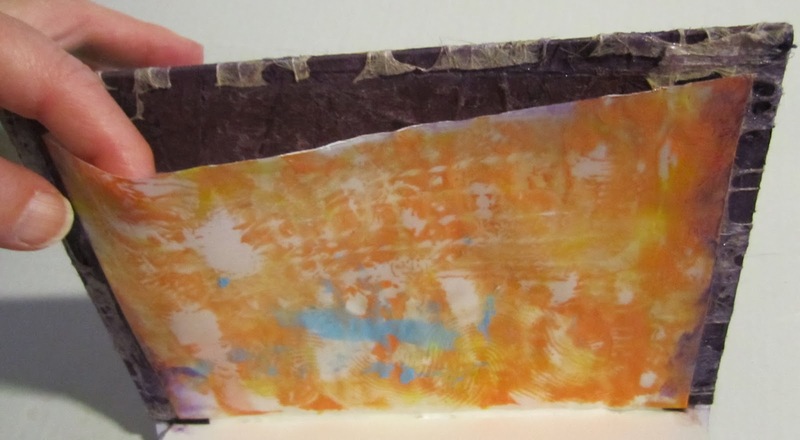 I had some cool specialty string papers, and I glued on the purplish paper first, then layered it with the lighter lacy paper. 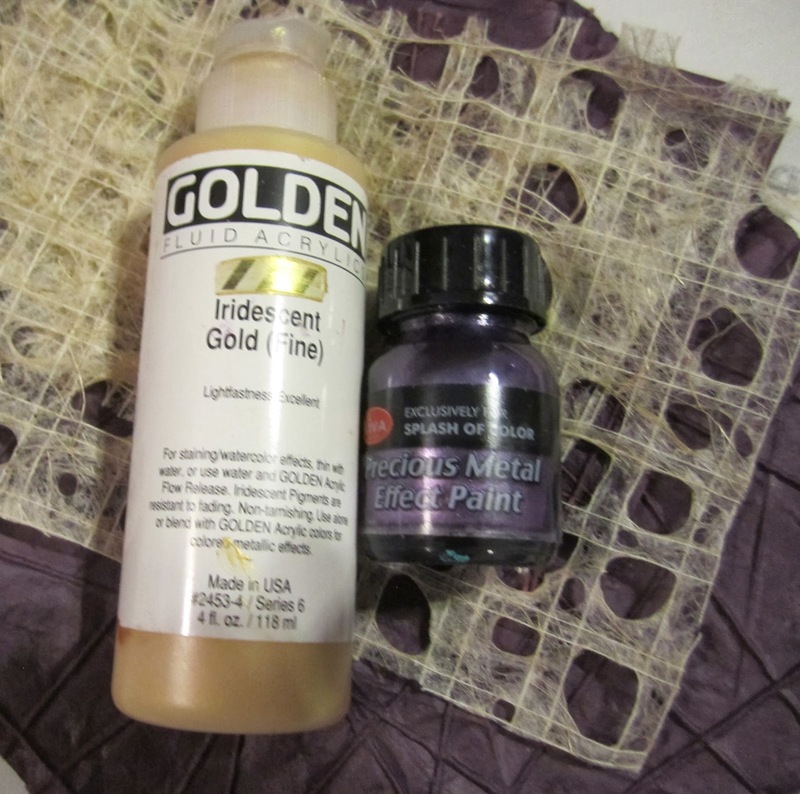 Then I used a makeup sponge to daub Viva’s Precial Metal Effect Paint Purple and Golden’s Iridescent Gold Fine all over the cover. 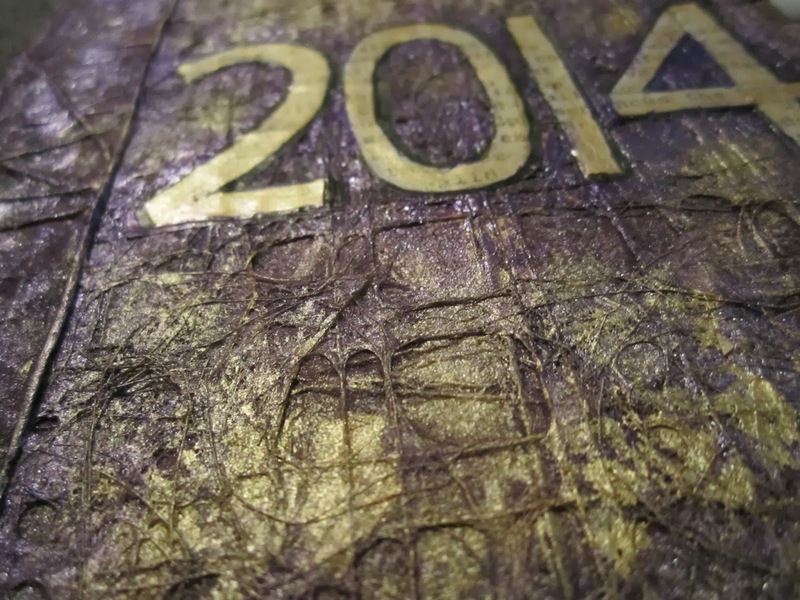 The titles were cut from an old book page and glued on, then painted with the Gold Fine. It was really pretty simple and took about an hour, including time spent letting paint and glue medium dry. 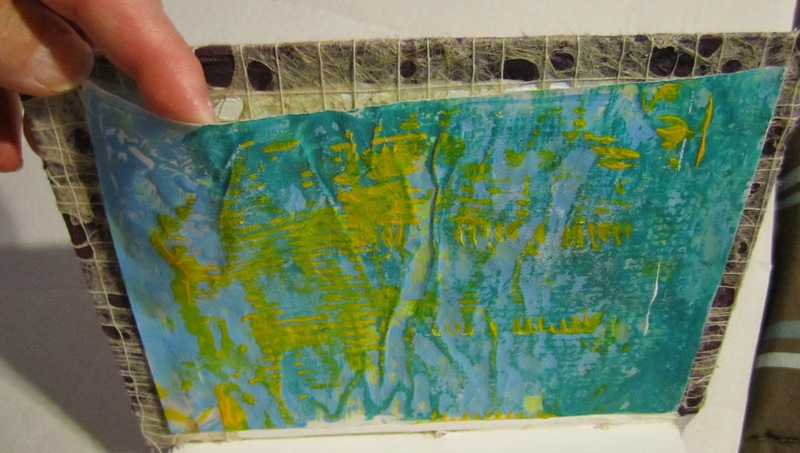 On the inside covers I glued down some transparent vellum envelopes that I had decorated with my gelli plate. Where did you get the string paper from? Love it! It is a lovely paper. Unfortunately, I don't remember where I got it, other than it was from one of the local art stores. I'm not even sure what it is called. It's too even to be handmade, but is probably a mulberrry paper. Sorry, I can't be of more help.